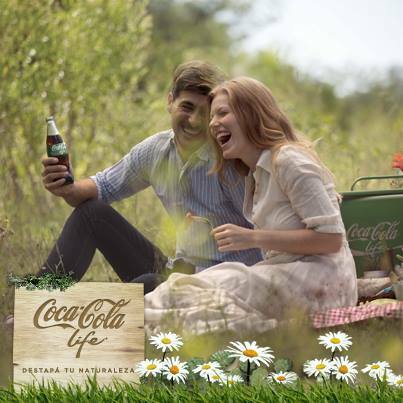 The New “Coca Cola Life”: All-Natural or Greenwash? 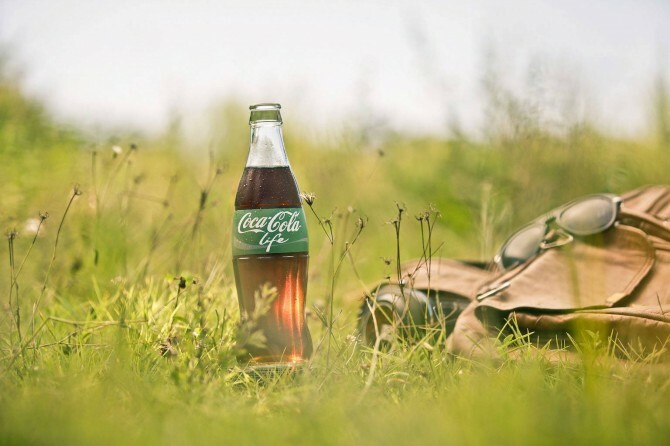 With its earth tone saturated logo and green, outdoorsy background accentuated with the occasional bunch of flowers and grass, the all new Coca Cola product screams “natural” to consumers. But what does the beverage company’s consumers actually hear? 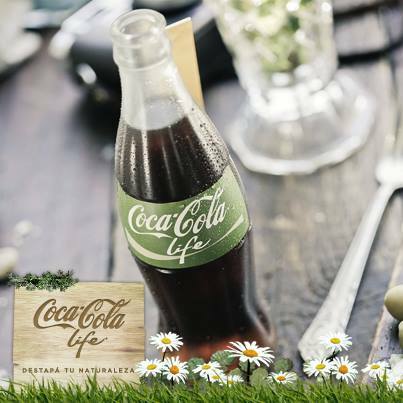 Treehugger shines the spotlight on Coca Cola’s latest product launch, the ‘natural’ Coca Cola Life. The product was launched in Argentina last June. Coca Cola Life is in essence a low-calorie version of the regular Coke, containing only 36kcal per 200 ml – a 60% reduction compared to the original. Instead of high-fructose corn syrup, the low-calorie drink is made with a mix of sugar and stevia-based sweetener substitute. Its green image doesn’t end with the drink inside, however. Coca Cola Life is marketed in the award winning Plantbottle. The plant-based bottle is made with 30% plant material and is fully recyclable. Furthermore, the new product is encased in ‘antique’ wooden bottle cases, putting the final touch on the whole nature scene. In Coca Cola Life’s website, visitors are greeted by a product video put up on a wooden signboard with a green vine climbing over it. The whole page is presented against a sunny background of green grass and foliage. But does a healthier drink (compared to the classic version) marketed in a more eco-friendly packaging actually translate as a significant contribution to a green lifestyle or is it simply corporate greenwash? 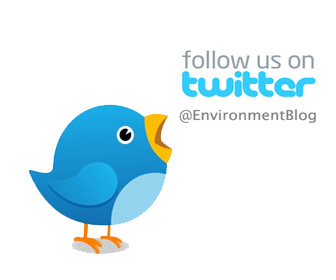 Dirty Business – company touts an environmental program or product while remaining polluting or unsustainable in its core business. Whether or not Coca Cola is guilty of one or more of these greenwashing criteria is for its consumers to find out and decide. It is in the consumers’ power to support or condemn the new product launch with their purchasing power. What seems to be clear, what with its efforts and a 51-page report on company sustainability, is Coca Cola’s concerted efforts to remake itself as a green company if only in the eyes of its consumers. But as Treehugger points out, annoying as it may seem to see a major brand tout imageries of green living, it is a sign that corporate giants are feeling the pressure for a more sustainable economy and a healthier society. If they see that as a business opportunity they might as well use it as an incentive to clean up their act – manufacture and use greener plastics, market less caloric and sugar drinks, and promote sustainable practices in their workplaces. What do you think about Coca Cola’s green-hued makeover with the new Coca Cola Life? Let us know in the comments below. Coca Cola LifeCoca Cola Life GreenThe New “Coca Cola Life”: All-Natural or Greenwash?